The Crested Butte Land Trust has roughly 11 months to conclude the unique deal that would protect Long Lake and simultaneously fund affordable housing in the valley, and the organization is well on its way via a series of fundraising initiatives. Hundreds of thousands of dollars have been pledged toward the $3.3 million project and millions more are in the pipeline. Since the project was announced in early July, the general public has donated more than $80,000. Crested Butte Land Trust (CBLT) executive director Noel Durant said the Gunnison County Land Preservation board has committed $250,000 and the land trust is meeting with the towns of Crested Butte and Mt. Crested Butte at their August 7 council meetings to discuss support. The town of Crested Butte has a funding stream directly tied to open space preservation through real estate transfer taxes. The CBLT has also applied for a grant through the national Conservation Alliance, a land conservation network of national outdoor retailers. Durant said the goal is to have the project done by next June. “It sounds like a long way away but it is really right around the corner,” he said. The multi-faceted project basically involves a land exchange between the CBLT and the U.S. Forest Service. The CBLT would purchase 613 acres of land in the Fossil Ridge area from the Trust for Public Land and transfer the property to the USFS along with 15 acres of CBLT property near Copley Lake. The CBLT would then take possession of 120 acres of property that surrounds the south and eastern side of Long Lake up Washington Gulch that is now owned by the Forest Service. The Trust for Public Land (TPL) would then donate the money from the Fossil Ridge sale, about $2.5 million after expenses, to the Gunnison Valley Housing Foundation. The land trust will be conducting two public site visits to Long Lake in August. The first will be on Friday, August 10 from 1 to 3 p.m. The second will be on August 24 from 3 to 5 p.m. Carpooling will take place at the Crested Butte Four-way Stop 15 minutes before the start time. The group will then meet up Washington Gulch and walk across the Meridian Lake dam up to Long Lake. Durant indicated the partnership with the Forest Service and TPL has been smooth and cohesive. “The local Forest Service personnel have been great in guiding this through the federal process,” he noted. According to Durant, the CBLT is counting on the general public for about $2 million for the project. 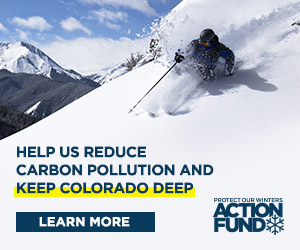 To donate to the project, go to the Crested Butte Land Trust website at cblandtrust.org.